Every evening at dinnertime, phones start ringing across the country – telemarketers trying to make a sale. While annoying, most calls do not pose a threat to your financial well-being. Unless you are gullible, lonely, or have dementia. Adult children often realize the extent of their parent’s decline only when they learn that their parent has spent significant sums on bogus sweepstakes or non-existent charities. The threat of misappropriation requires adult children or the spouse to assume control of the finances. It deprives caregiving spouses of a degree of freedom since they become hesitant to leave their spouses home alone, for fear that they will answer the phone and give financial information to a marketer while they are gone. Put your number on the national Do Not Call Registry. This is the first and most important step in protecting against fraud. The registry is kept by the Federal Trade Commission, and your registration is good for 10 years. You can put your number on the list by either calling the FTC at 1-888-382-1222, or on line at donotcall.gov/register/reg.aspx. If any of these organizations call, ask them to take you off their call list. Most will do so. Use phones with the Caller ID feature. The ability to know who is calling you is most helpful in combatting unwanted and possibly dangerous calls. 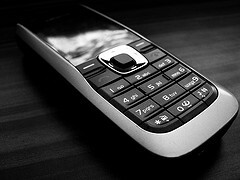 Do not answer a call if the number is not fully displayed, or if you do not recognize the caller. A legitimate caller will leave a message that you can return later. If you do happen to pick up a call from a marketer, immediately ask to be put on the no call list, and hang up. If you have left your loved one at home unattended, Caller ID will allow you to review who has called while you were out. Caller ID gives you have a record of the number who called you, enabling you to give the information to the FTC or the police, should you need to do so. Do not give out your phone number unless required. Retailers may ask for your phone number, but you may not need to give it to complete a transaction. Do not have your phone number printed on your checks. Do not put your phone number on any warranty cards that you might return after the purchase of a product. Although families can establish rules about not answering the phone or giving out information, it may be hard for someone with dementia to remember them. Therefore, caregivers may have to take additional steps. Take ownership of the family check book. Keep close track of all checks, and leave the check book in a secured place. Speak with your banker about your concerns and ask the bank to notify you if it receives any check requests that do not fit your family’s normal pattern. Consider taking possession or canceling the credit cards of those with memory loss. Since most of us are used to carrying credit cards, being forced to relinquish them can be a huge blow to the dignity of any adult. Sometimes there is no other reasonable option. However, you can try to find a middle ground to maintain someone’s dignity while reducing the possibility of financial loss. Suggest that you hold onto the cards for safe keeping. Talk to your bank about options to establish a credit or debit card for your loved one with a very low daily maximum withdrawal. Report any violations to the police. Telephone scamming is a huge problem and the police have more resources and information than you will have to resolve a problem. You can find out more information about popular scams and tips here. It is unfortunate that it is so difficult to protect yourself and your family from fraudulent solicitations. Awareness of the problem is key, as is constant vigilance! Previous Article: New Year’s Resolutions?